Prefabricated Buildings – Old or New Idea? Once considered old, dated, and of lesser quality, prefabrication has become new and innovative. The Aladdin Company started selling the earliest house kits from its catalog in 1906. One of the best-known early kit-home sellers was Sears, Roebuck and Co., which sold more than 100,000 homes from 1908 to 1940. Fast-forward to 2013 and prefabricated/modularized homes, apartment buildings, and office buildings have been updated, upgraded, and brought into the 21st century. What is the major change in the prefabrication/modularization industry? The size and scope of modular office buildings is changing, as are the participants who are joining the modularization trend. Along with improvements in design tools and software programs, construction materials and techniques, modular building is being embraced by some major general contracting firms providing a higher profile for this building type. This is the classic definition of a custom modular building – constructed off site where design and quality control can be monitored and cost overruns can be avoided. Modular building is not “new” – but it is experiencing a new respect and popularity for a number of reasons. 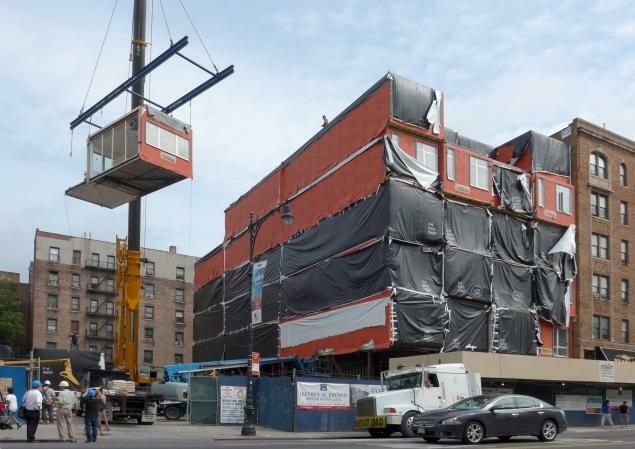 There is a new awareness among architects, developers, and general contractors that modular building can meet the design, scheduling, and cost constraints for their clients. The architectural, developer, manufacturing, and contracting communities are all beginning to embrace prefabricated/modularized construction. Building requirements have become more sophisticated through the years, and, being able to build off-site while meeting building codes and site requirements has become more complicated. With Building Information Modeling (BIM) these requirements along with sophisticated design tools are making the ability to create imaginative pre-fabricated modules possible. Developers and general contractors are looking towards modular building to help improve schedules and decrease costs. A typical construction schedule is made up of various stages: Design and engineering, the Permit and Approval stage, Site development and Foundations, Building Construction and Site Restoration. When a modular office building is modularized the manufacturing is taking place at the same time as the site development and foundations. The work is done in a controlled environment. No dealing with the weather elements when trying to put up walls or roofing tiles. The Install and Site Restoration takes a shorter period of time and creates savings in the overall project schedule. 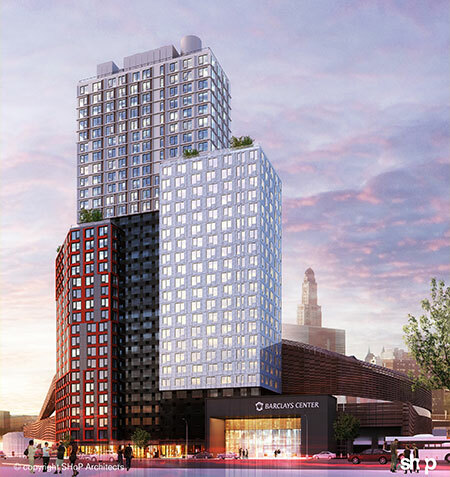 In New York’s Inwood neighborhood a 28 apartment building complex dubbed “The Stack” will be constructed on a 10 month schedule since the 28 prebuilt modules were constructed in a plant in Pennsylvania. The traditional building on site method would have taken 16 months. When portions of a building (prefabrication) or whole units of a building (modularization: 60 to 90% completed offsite) are constructed at a manufacturing plant the materials are stored in the manufacturer’s warehouse to prevent deterioration from moisture and the elements. The indoor construction environment reduces the risks of accidents and related liabilities for workers. Manufacturing plants have strict QA/QC programs that insure superior quality of construction every step of the way. Custom modular buildings options cost 15 – 20% less than traditional construction, produce 70-90% less waste since materials are recycled, there is a greater control of inventory and building materials are protected from theft, and they consume 67% less energy. For additional information on current research and projects please visit the sources listed below.